Calvert Nature Society helps to raise funds for materials for Natural Resource Division research projects. Funds supply volunteers with the tools and materials necessary to help staff. For a list of all our projects, click here. 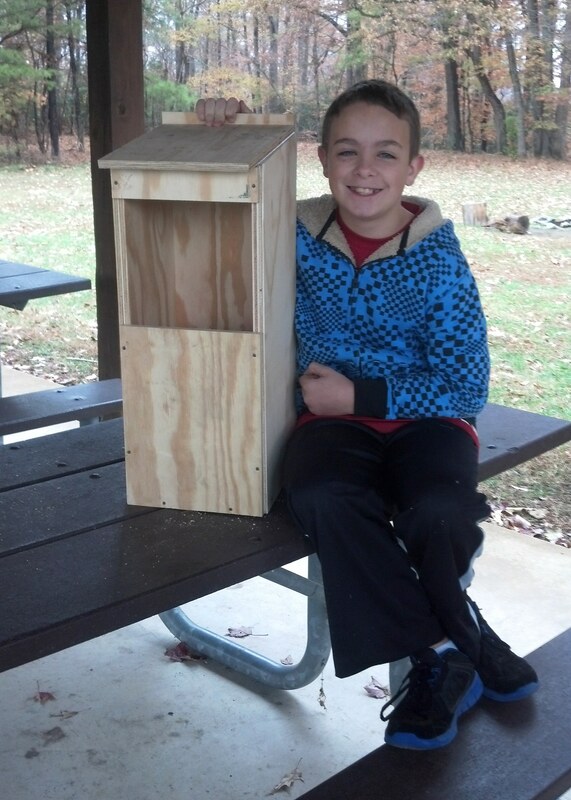 We currently have several opportunities to contribute: Nesting Box Project, and the Adopt an Owl Campaign. Donate today to support these important research projects. Our local owl species need our support. The updated Maryland Department of Natural Resources’ Wildlife Action Plan will list the Northern Saw-whet Owl as “highly imperiled” and Barn Owls are to be classified at “high risk of extinction.” You can support their conservation and research. Please consider supporting our Owl Program with a donation. 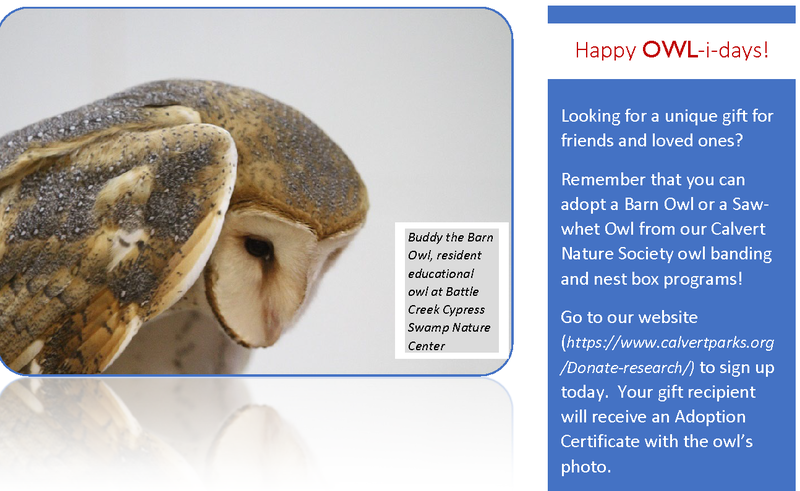 Fill out the donation form below and add "Adopt an Owl" to the comment line. Resou rces Division is currently conducting County-wide nest box research projects for Bluebirds, Barn Owls, American Kestrels and Prothonotary Warblers. The projects revolve around the construction and placement of nest boxes in suitable habitat. Nest boxes are monitored by volunteers and the data collected allows us to evaluate the status of these important nesting species within Calvert County. With your donation, we will provide you with a photo of your adopted box, its location and the year–end nesting results. Donations support the nest box for one year. Fill out the donation form below. Click on Research Programs and add "Nesting Box" to the comments section. Also, provide any other information you would like us to know about your donation.When you click "Pay" you will be directed to PayPal. If you prefer to pay by Check, from the PayPal page, click the link "Return to Calvert Nature Society..." You can then print the invoice and mail with your check.